Facebook announced on 5th March a change in the Facebook Page Likes count. Business page audience data will become more meaningful: Facebook will delete all the memorialized accounts (for deceased users) and the voluntarily deactivated accounts from Pages’ like count. This means, that you will likely see a small drop in the number of Page Likes. But you will be sure that the accounts that like you are still valid and active. This generated some confusion among Facebook users and Page owners. Users can have an active Facebook account without being active on a Facebook Business Page (with comments and post likes). 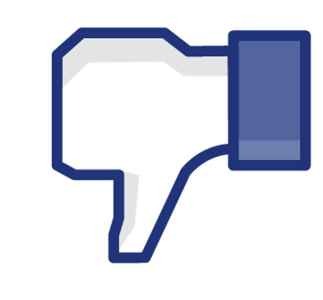 Only voluntary deactivated Facebook accounts will be deleted. As a Page owner, you don’t need to push user to take a specific action (such as liking an image or a status) to circumvent the coming purge. No change will occur to individual / personal accounts and to the friends’ count. If you see a big dip in the number of Likes, it means that many of the accounts that liked you have been deactivated: this is the case, for example, of the non-legit and fake accounts that are sometimes used to generate thousands of paid likes for a page. If deactivated accounts are reactivated, any likes coming from those accounts will be re-added to a Page’s like count. To keep data consistent, Facebook will also filter out likes and comments generated on Page Posts by deactivated accounts. You will likely see a change in the Insights of your old posts. This change should help businessses create high-targeted audiences for Facebook ADV, by finding people like their followers through the “lookalike audiences”. The process will start on March 12th 2015. It will take some weeks to be completed on all Facebook business pages. The number of likes that you see in the Tanaza Social Dashboard is constantly updated. This means that you will see the real number of likes you have in the exact moment you load the page. The Likes generated by Tanaza WiFi and the count of Likes generated organically through Facebook are both up-to-date.